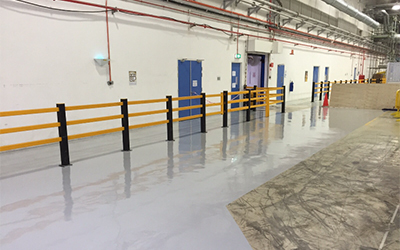 Epoxy Flooring Supplier Singapore, Road Marking Contractor, Decorative Lighting Service Bukit Batok ~ FORTRAN SINGAPORE PTE. LTD. Established in 2015, Fortran Singapore Pte. Ltd. is registered with the Building and Construction Authority of Singapore (BCA). Currently, our businesses are largely based in Singapore, focusing on industrial and commercial construction projects. We have expertise in refurbishing old offices, plant & warehouse transformation, additions & alterations and building reconstruction. We also provide general building maintenance repairs. In addition, we can provide assistance for budgetary forecasts and project management to ease your planning needs. Every project will be closely monitored by our experienced project managers, who will be your main point of contact. Placing a huge emphasis on workplace safety, we strive for zero accident, while at the same time delivering trusted products and services. We are committed to meet our clients’ budget, expectations and schedules with quality service & competitive pricing. Company also principally involved in general contract works such as Thermoplastic road marking, Pre-mixed bituminous road, Internal & external wall painting, Façade cleaning, Lighting decoration, Interior Fitting. Fortran Singapore Pte. Ltd. strive to deliver top quality works that meet and satisfy our customers’ needs by providing high quality craftsmanship as an industrial and Commercial General Contractor. Fortran Singapore Pte. Ltd. is the Building And Construction Authority (BCA) registered company with graded “L1” in Repair and redecoration (CR09). We had also obtained Bizsafe Level 3 (Cert. 22784) in year 2015.